Extra phosphorus and potassium for flowering plants in soil. Plants in the flowering phase need increasing amounts of phosphorus and potassium. Hesi Pro-Line Phosphor adds the correct dosage at the right time. 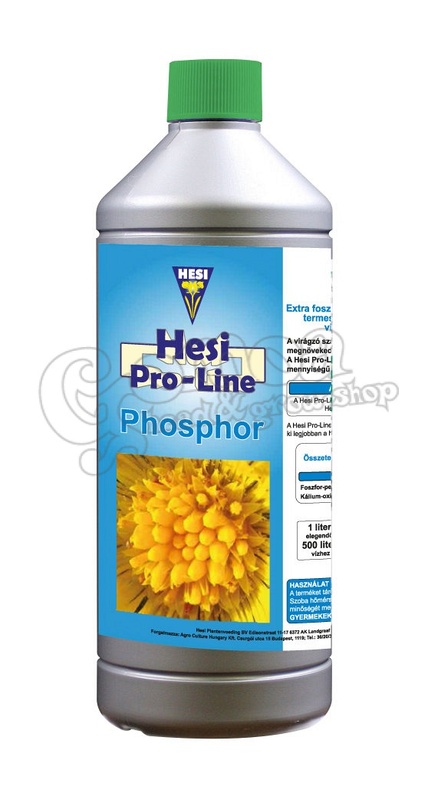 Hesi Pro-Line Phosphor is perfectly harmonised with Hesi Pro-Line Bloom. The pH-corrector of Hesi Pro-Line Bloom is fully active when combined with Hesi Pro-Line Phosphor.